Getting rigging services right requires mathematics, geoengineering, and mechanical information. To ensure teams understand each project, riggers outline the requirements and plan for lifting using a crane and components. Wind, temperature, and visibility can have an adverse effect on crane lifts and are considered during planning. For example, wind gusts of more than 15 miles per hour can cause postponement or cancellation. Temperatures below 10 F can impair crane hydraulics. Rain, fog or snow can negatively affect the visibility of the boom tip, operator, or the load. 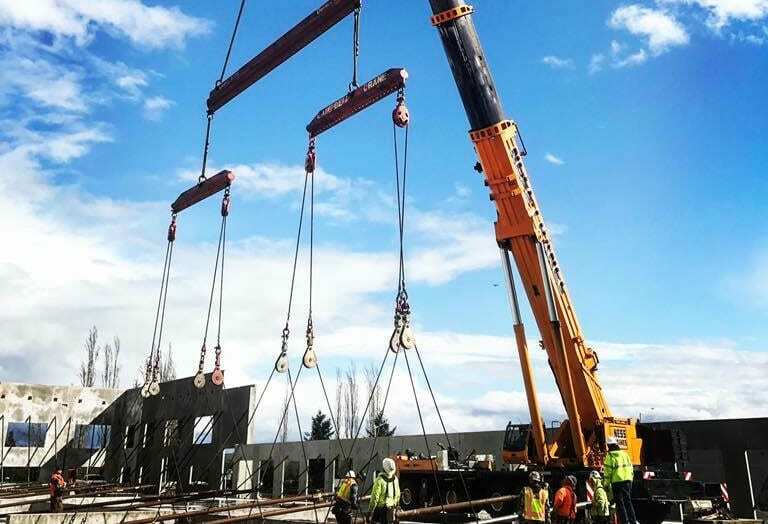 The science behind crane rigging establishes good practices and correct lifting methods, showing how loadings can change significantly with only a few modifications. When large objects are moved efficiently and safely with minimal manual handling, major accidents can be avoided. But planning and good communication are also key elements of good rigging services. Successfully controlling lift operations and using lift equipment safely takes management commitment, team competence, and appropriate resources. For more information about how NessCampbell Crane + Rigging can support your heavy machinery moving, rigging, erection, and assembly, contact our team. We understand the science behind crane rigging and will complete your project safely, on time, and cost effective.